I built a few dream machines to Ian Sommerville’s exact specs. 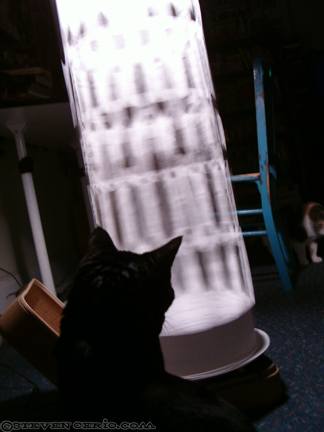 They are relaxing and inspirational simultaneously…even if you don’t dig Wm Burroughs and Brion Gysin as much as me. Drugs don’t need to be incorporated to get the full effect. Seriously. My cat Eggplant really likes them and she’s never even glimpsed at a television…or taken drugs.